Happy Monday! I hope you all had a wonderful weekend. I am still trying to play catch up after a crazy few weeks. We lost power for 5 days after a crazy snow storm hit our area the weekend before Halloween and then left for vacation literally the morning after it came back on. We just returned home a few days ago to a super busy weekend filled with a wedding for my cousin, a Flag Football Superbowl for my youngest, and the Jets vs Patriots game for hubby and I. Needless to say I am pooped! LOL! I do have a new layout to share with you today though. This layout went up in the Garden today over at Two Peas In A Bucket. For this project I focused on the Autumn Press collection by Studio Calico. These are some photos I snapped of my littlest at the pumpkin patch a few weeks ago. They were just perfect to scrap with this collection. This collection was really easy to work with. 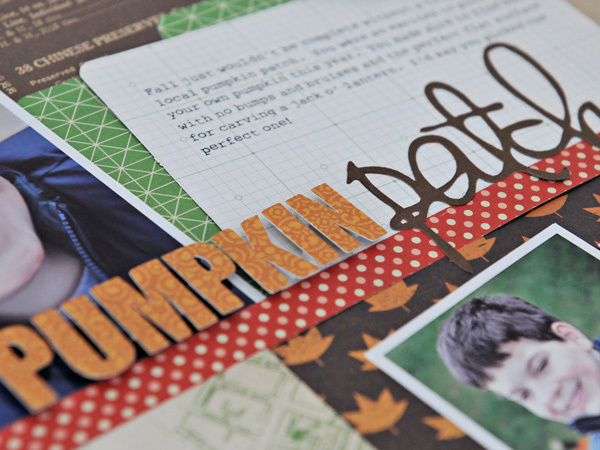 The color palette is very warm and inviting and the patterns are great for all sorts of projects not just those with an autumn theme. Well that's all from me today. Sorry for the short post - laundry and housework are calling my name. 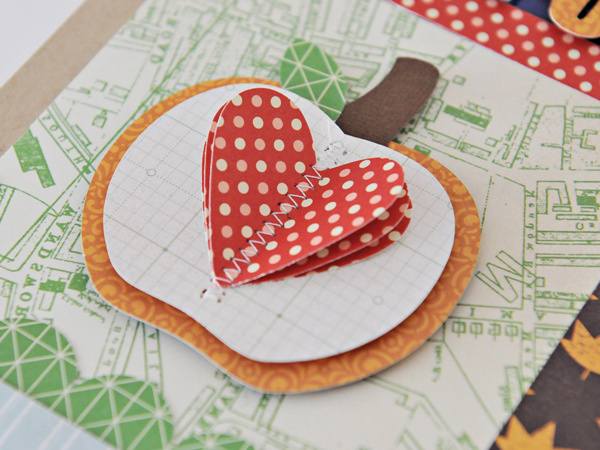 I'll have another new layout from Two Peas to share tomorrow. Thanks for stopping by! Always love your pages, Lynn! Great details! HUGS to you! 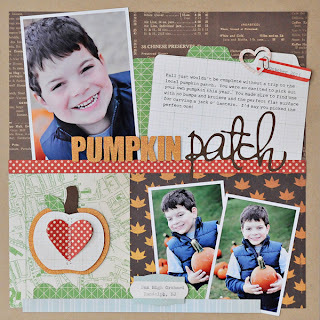 Gorgeous page Lynn! Love the smile of your little boy♥ Il est vraiment adorable!